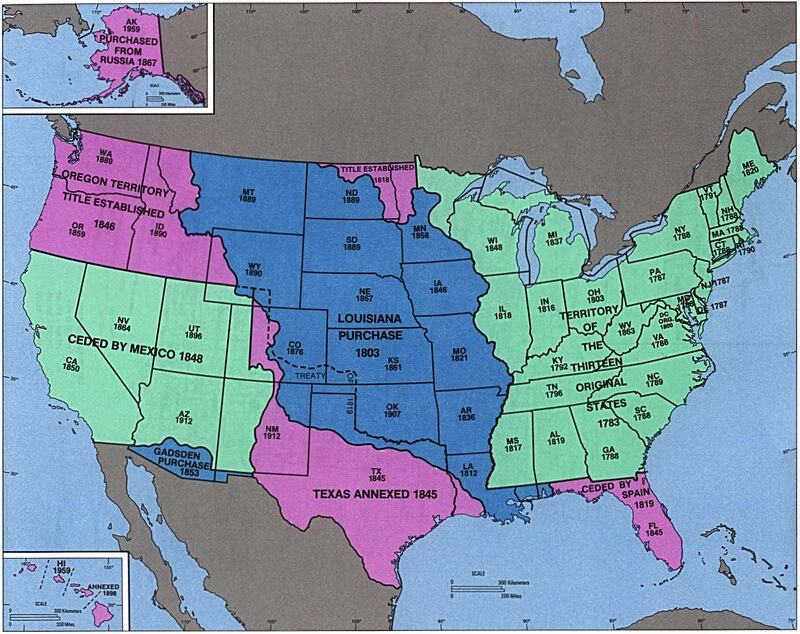 See how the United States got to be the way it did with these helpful, colorful maps. This helpful map shows all 13 Colonies, including the Georgia Territory and what would later become Maine. 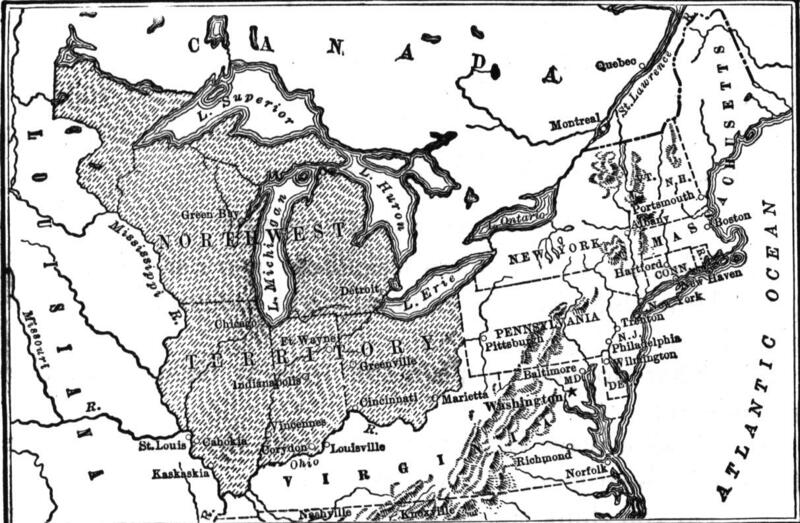 The Northwest Territory was one of the first big land grants to expand the boundaries of the United States. See which states came out of this territory. See the state of the Union in 1800. This was a mere three years before the Louisiana Purchase, which doubled the size of the country. Ever wondered when your favorite state came into the Union? You can find out here, on this list in the form of a map. See the places and dates for wars fought by United States armed forces. See the United States come together by viewing the same map at different times in history!